Today in the morning had just made a post on RSI reaching highly oversold levels. 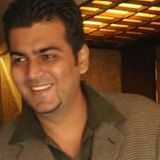 The markets were down arnd 100-200 points in the morning. 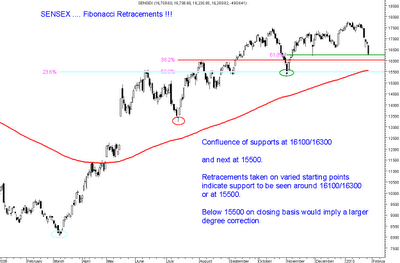 As per RSI we have reached to levels which were last seen around 15300 and previous major lows. The index has fallen more then 16600 levels which i expected to hold or at least give a bounce. Better part is we were early into the rally with leverage taken at 16600-17k last time which we kept booking at higher levels so such a healthy correction is digestable. Currently for stock specific actions this is a time to watch and enter/average on turnaround signals. But i would continue to maintain that avoid leverage as volatility can cut traders. In the last few short term uplegs none of them have fallen much below 61% which comes to 16250-16300. Retracement for the last move from 15.3k the 38% level comes to 16100. For the total upmove from 8k the 23% retracement comes to 15500. So ideally one could see bounce from 16100 band or in case we see further downmoves even after that then also 15500 should hold up for the next few weeks. 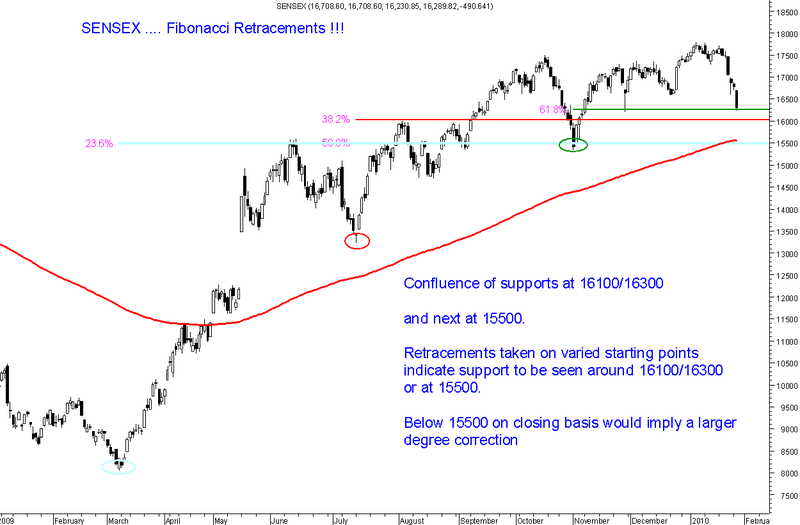 Move below 15500 opens up a correction of a higher degree. The extreme short term trendline which was at 16600 and a few bottom supports in that zone got broken today and the next important one comes around 16100. Recent bottom at 16200 is a level to watch for. 200 day moving average comes closer to 15500 which would be the worst case in near term. Sustaining below 15500 could really open the gates to much lower levels. Traders can look towards a bounce back trade on Nifty with a stop of 4770 and buy niftybees in parts. If the level gets broken look to re-enter around 4640-4670 with a stop of 4600. Momentum could be seen on crossing 4950 levels which can take it to 5050-5090 also. Sensex levels are 16100 and 15500 respectively. Do adequate risk management. Thanks for the macro picture for the Sensex.There are few people who make sense in the mayhem at present.Is this the last chance to get in before we make a new high on the Sensex. Will Sensex take support at the gap of election results?